The halo is back. Only this time, Apple says it’s casting a much wider reach. If your interest in Apple dates back at least a decade, you may remember the concept of the iPod Halo Effect. That was the term used to describe the phenomenon where iPod consumers–many of whom were buying their very first Apple-built product–became so taken with the music player that they started spending their hard-earned cash on other Apple offerings. Consider for a moment a stat Apple trots out each quarter when it announces its financial performance–that around half of the Macs it sells through its retail stores are to customers new to the Mac. Apple first began to highlight that trend around the same time iPod sales began their stratospheric climb. Another noteworthy stat: Apple shipped 746,000 Macs and turned a profit of $38 million for the fiscal first quarter of 2002–the first quarter in which the iPod began shipping. By the fiscal first quarter of 2009, when quarterly iPod sales reached their peak, Apple was selling 2.5 million Macs and reporting a $1.61 billion profit. iPod sales have since tailed off, but the halo effect hasn’t gone away. Instead, it’s simply shifted over to Apple’s iOS product line, which is generating stellar sales of its own while introducing new customers to the rest of the company’s product portfolio. Again, the numbers bear out this claim. In its just-completed fiscal first quarter, Apple sold more than 37 million iPhones, a quarterly record for the company; it also tallied record Mac and iPad sales during the quarter. For 23 consecutive quarters, Mac sales have outpaced the growth of the overall PC market. While that stretch predates the 2007 debut of the iPhone, Apple seems to credit its smartphone’s popularity for helping to keep that streak alive. The iPhone, however, has been able to extend Apple’s reach into markets in ways that the iPod never could. Part of that falls to the aggressive way the company has expanded its smartphone business around the globe. 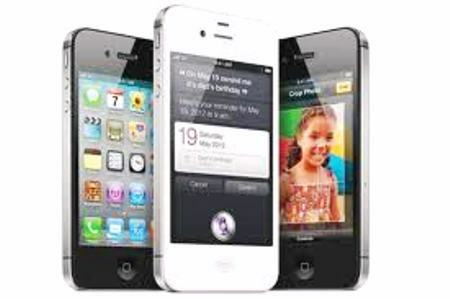 For example, just three months after its debut, the iPhone 4S is already available in 90 countries–the fastest smartphone rollout in Apple’s history. Also helping Apple’s efforts in these newer markets is the critical place that mobile phones have in people’s lives. Cook cited an eye-popping figure at the Goldman Sachs conference. For 2007–the year before the iPhone became widely available outside the U.S.–combined revenue from China, parts of Asia, India, Latin America, Eastern Europe, the Middle East, and Africa was $1.4 billion. Last year, those same regions accounted for $22 billion in sales. That’s paying dividends in China, in particular. Cook told attendees at the Goldman Sachs conference that Apple’s revenue from that country has grown from a “few hundred million dollars” to $13 billion last year. While the iPhone can claim much of the credit for that–“We really have been focused on trying to understand the market there and then taking those learnings to other markets,” Cook said–Apple’s other business are reaping the rewards as well. The company’s Mac business in China grew more than 100 percent in 2011, roughly 10 times the growth rate of the rest of the PC market in that country. It’s no coincidence that the next version of Mac OS X–Mountain Lion, which Apple announced on Thursday–includes a number of China-specific features such as improved text input capabilities and support for Internet services that are popular in China. And it’s not the only market for the company. Speaking to investors Tuesday, Cook noted that Apple is increasing its focus in Brazil and starting to do the same in Russia–two other countries where iOS device are helping the company get its foot in the door. Brazil, for example, became the first country outside of the U.S. to gain access to the company’s iTunes Match service late last year. It’s those kinds of growth opportunities that has Apple bullish about the long-term possibilities for its iPhone halo effect. “There’s lots more opportunity out there, and so I think this is very, very profound and very big for us,” Cook said.